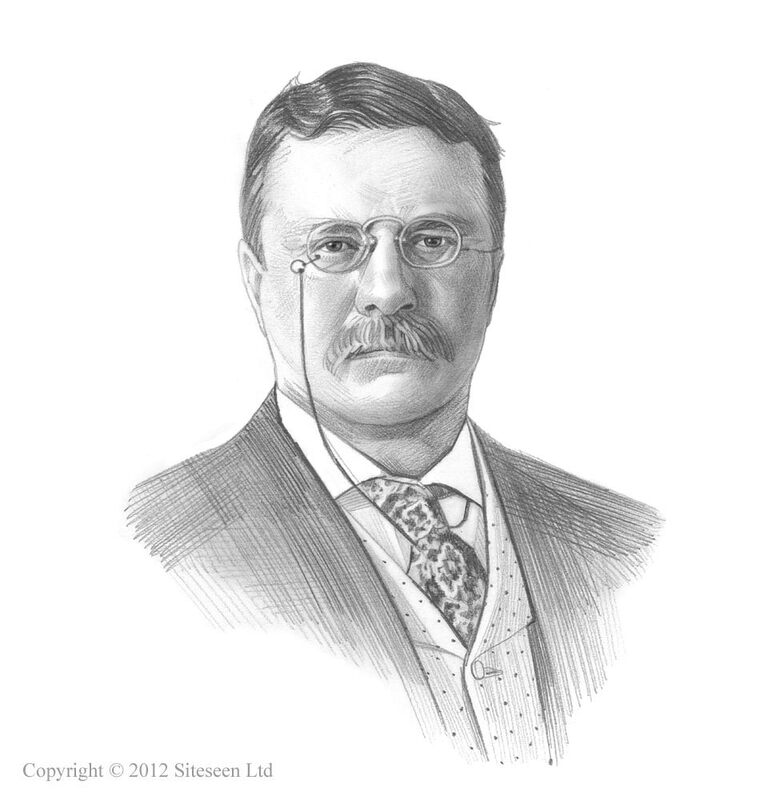 Muckrakers: Theodore Roosevelt was the 26th American President who served in office from September 14, 1901 to March 4, 1909. One of the important events during his presidency was the influence exerted by the "Muckrakers". Summary and definition: The "Muckrakers" were crusading journalists, photographers and authors who published their work in order to raise awareness of awareness of social issues and injustices. Other muckrakers highlighted the weaknesses in the political system. Their books, newspaper articles and photographs led to the formation of pressure groups sparking a series of reforms during the Progressive Era 1890 - 1920 in American history. The derogatory sense of the term was due to muckraking journalists who were closely associated with 'Yellow Journalism' that used lurid eye-catching headlines and sensationalism in order to drive up circulation. The main goal of the Muckrakers was to raise awareness of social injustices, inequality, corruption and the abuse of political power in order to bring about reform. For additional facts refer to the article detailing Progressive Reforms at city, state and federal levels. The origin of the term 'Muckrakers' derives by a speech made in Washington D.C. by President Theodore Roosevelt on April 14, 1906.
is the most needed, of all the services that can be performed..."
"The men with the muck-rakes are often indispensable to the well-being of society, but only if they know when to stop raking the muck". The Muckrakers were then closely associated with 'Yellow Journalism' the term that encapsulated the lurid articles that appeared in the circulation battles of the newspaper magnates between Joseph Pulitzer's New York World and William Randolph Hearst's New York Journal. Both papers used 'Yellow Journalism' and produced shocking, eye-catching headlines and sensationalism in order to drive up circulation. The scandalous elements and the crude exaggeration of 'Yellow Journalism' were also a feature of the popular 10 and 15 cent magazines such as Collier's Weekly, Everybody’s Magazine, Munsey's Magazine and McClure's Magazine which entered mass production in 1900. The term 'Yellow Journalism' was coined by Erwin Wardman, the editor of the New York Press following the publication of a yellow cartoon as an experiment in color printing designed to attract customers. The serious, crusading 'Muckrakers' articulated Progressive ideas investigating and reporting on social conditions and political corruption in America but were tainted by the emergence and practice of 'Yellow Journalism' . Jacob Riis (1849 –1914), the city editor of the New York Tribune, author and photographer publishes "How the Other Half Lives" in 1890 graphically describing the squalor of the New York slums. 'A Modern Chronicle' was a best-selling novel by American writer Winston Churchill in 1910 exploring "the problem of the modern woman" and the effects of divorce, in a world driven by industrialization and business competition. 1896: Educator and social reformer John Dewey (1859 – 1952) establishes a “progressive” school in Chicago. Journalist Ida Tarbell wrote the "History of the Standard Oil Company" that was published in McClure's Magazine. 1899: The National Consumers’ League was established by social and political reformer Florence Kelley (1859 – 1932) fighting against 'sweatshops'. 1901: Frank Norris (1870 – 1902) publishes 'The Octopus: A Story of California' in 1901 . Writing in the naturalist genre about the conflict between the California wheat farmers and the Southern Pacific Railroad. Robert Herrick wrote a muckraking novel about about the ethics in the Meat packing industry in 'The Memoirs of an American Citizen. William English Walling (1877–1936) was an American labor reformer who wrote the article, "The Race War in the North," for The Independent. Samuel Hopkins Adams wrote 'The Great American Fraud' exposing fraudulent claims and endorsements of patent medicines in America. Upton Sinclair (1878 – 1968), published his muckraking novel The Jungle in 1906 about labor exploitation and appalling conditions in meatpacking plants. Another book by Upton Sinclair, the 'Money Changers', dealt with Wall Street and the 'Metropolis' exposed the antics of the "gilded rich" in New York. Gustavus Myers (1872–1942) wrote about corruption in his book "The History of Tammany Hall"
John Spargo (1876–1966) published 'The Bitter Cry of the Children' in 1907 about child labor conditions in the coal mines and the plight of the "breaker boys". Theologian Walter Rauschenbusch (1861–1918) the primary theologian of the “Social Gospel” movement published his book 'Christianity and the Social Crisis' in 1907. 1909: Ida B.Wells (1862 – 1931) an African-American journalist, suffragist and Progressive is instrumental in founding the National Association for the Advancement of Colored People (NAACP) to challenge racial discrimination.